SevenSix’s platform enables online and distance coaching, in order to boost player performance and open new opportunities for coaches. This video gives a summary of the app’s usage: players record themselves in action, upload the video to their account, and then a coach can provide feedback to the player. 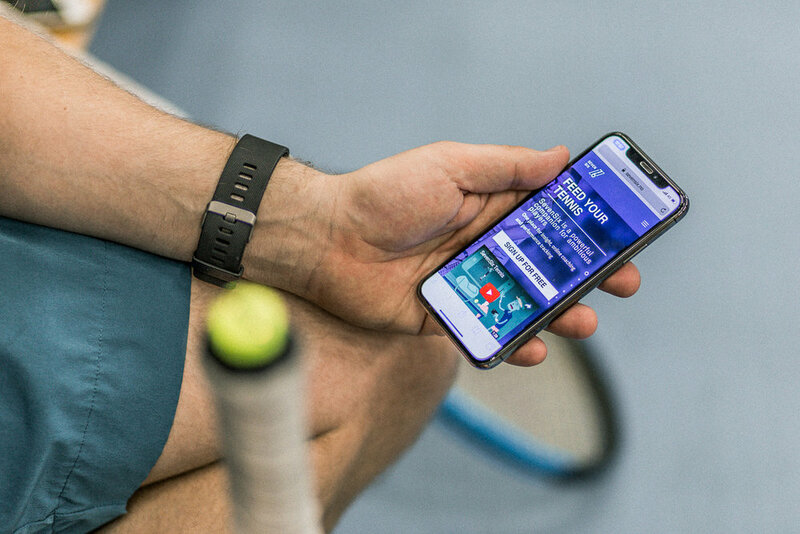 Alex recently spoke with CEO of SevenSix, Trond Kittelsen, and got some more information on the current state of SevenSix, the company’s development as a startup, and the potential of exciting new tennis technologies. In what ways does a coach interact with players through SevenSix? Trond: A coach can use his or her smartphone to record a short video and audio that is uploaded to the player’s profile. This way a player will know what they need to work on for their technique. 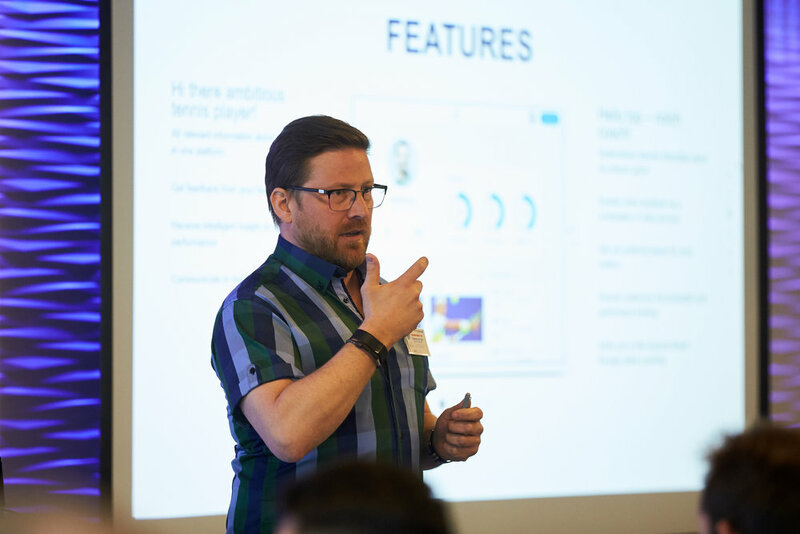 SevenSix’s focus is on low barrier tools that enable player/coach connections rather than the analytical process itself. I do not think SevenSix will go the way of a video analysis app because they often get complex, and only a small group of coaches use them. Instead, SevenSix approaches online coaching in a different manner, by providing a framework that allows a coach to use any video analysis tool they prefer (phone, Dartfish, PlaySight etc). All the data silos need to be opened up so that coaches can change and mix things up a little bit, but still, have one platform that gathers and presents all of their information. While working closely with top coaches, I saw first-hand that player development plans were in the coach’s Google Drives, and that valuable information was only shared with players once or twice a year. Overall, it just was not collaborative enough. I wanted to do something about it so that a player can have different coaches and his or her parents can follow the player’s profile and be notified every time a change is made. It’s true that tennis analytics continue to be quite fragmented.Can you expand more on how you envision addressing this issue in the future? Even with the top players, the information and planning before a match take place across multiple channels like email, text, and WhatsApp. It ends up being a mess and this needs to be simplified and streamlined in a platform like SevenSix. Currently, we can get information, statistics, and documentation of matches but it’s still quite manual. There are coaches out there painstakingly tagging each point by score or shot like a backhand winner. We just received a fairly big innovation grant to build the world's first tennis AI coach. Picture that you film a player with your smartphone, it will calculate and display metrics live through an app, and even giving you recommendations on what to change in terms of technique. An AI coach would provide a great opportunity to players and coaches and by doing this we will give any players the resources of a professional tennis player in terms of coaches, technology and analytical tools. Are there others working on AI tennis coaches? There are, but they will need more funds and support from federations. Additionally, they need to choose an angle, whether the AI will be part of a spectator app or if the AI serves as a coach for player development. So far, the first app in sports that I know of incorporating this type of AI was launched in September of 2018. It’s called Homecourt and is for basketball. It tracks the ball and player movements at the same time without the barriers of expensive sensors, cameras, or other hardware. An AI system like this for tennis would even work with the SevenSix platform today and make it better. What do you see as the main benefit of SevenSix for coaches? SevenSix will help professional coaches monetize their experience. I am not saying that all coaches are going to do this; a coach will need experience in video analysis and giving feedback. But SevenSix opens up a new market for the coaches. Often in Norway, clubs have member structures where 50% or more of members may not have access to a specific coach. So, SevenSix will enable coaches to connect with the members through digital coaching. We have built the system around coaches and enabling them to make up to 20% more than their yearly salary.Considering the monetary pressures on tennis coaches and players the business model of SevenSix is freemium accounts on both ends, but the player has to pay 30 dollars to the coach if he or she orders feedback from the coach. A coach can build a network of players, and if a coach creates a report for players in that network then the players do not have to pay to view the information. How would you summarize the current state of SevenSix? SevenSix’s platform helps to digitize the game of tennis by uploading documents, images, and video through on any device. The performance intelligence is manual as there are no analytic tools in the app right now. The picture that we have is that SevenSix is a constant and the analytic systems and sensors will continue to change year to year. The financial support from the app started in March 2017, when we won a competition from Capgemini to begin building SevenSix. We also received 120,000 dollars from Microsoft and soft funding from Innovation Norway. Additionally, I have a signed letter of intent with Orange Coach to provide online coaching to their coaching network, and there has been a lot of traction and media coverage in Norway and online. We are testing the product with several top players and coaches as well as clubs and academies in Norway. The SevenSix app is in beta version, but the validation and positive feedback from players and coaches so far at this stage are important. There is a backlog of things that I want to do, but the focus right now is getting in contact with coaches who have some knowledge in video feedback to help players online. How many people have the app right now, and how are they using it? Right now, we have 189 users and counting. We spend time meeting clubs and coaches to tell them about the concept and to receive valuable feedback for new development sprints. We have made some instructional videos to guide coaches through the sign-up process, but we will still need to form a personal relationship. I am meeting with a club of 2,000 members in Norway to help them tell the story of increased access to the coaches. You know how busy we are as coaches and this will allow the players and users of the app to get more instruction. So, it’s still early days, but lots of positives. I love the big vision that’s absolutely awesome. Do you have anything lined up for SevenSix in the U.S.? I spent four weeks in Silicon Valley, in October, where I met with some academies. I met Mark Leschly at Universal Tennis. I’m picturing how can you document development, and a ranking system might be the factor or solution to documenting player progress, but it’s also easier for a coach to evaluate a player if they know the rankings. And UTR is now getting into the club levels, so even I can have a ranking as an active club player. Even though we have limited exposure in the states, we are generating interest around the world. We are onboarding coaches in Norway now, and we will market their specialties on SevenSix, in social media, and on the coaches clubs. There is some interest in India as well, and we are still looking for coaches to continue to try SevenSix out and give us feedback. It’s an open platform that any coach can use to work the way they prefer to work. The additional revenue source for coaches is a great motivator as well. Coaches in Norway don’t make that much money, they are stuck on the court. But with SevenSix a coach anywhere in the world can do 5 or 6 online coaching sessions in that same hour. So I hope that the extra revenue will be a motivator for coaches to give the app a try. I would love to get in contact with coaches with basic video analytics skills also in the US.